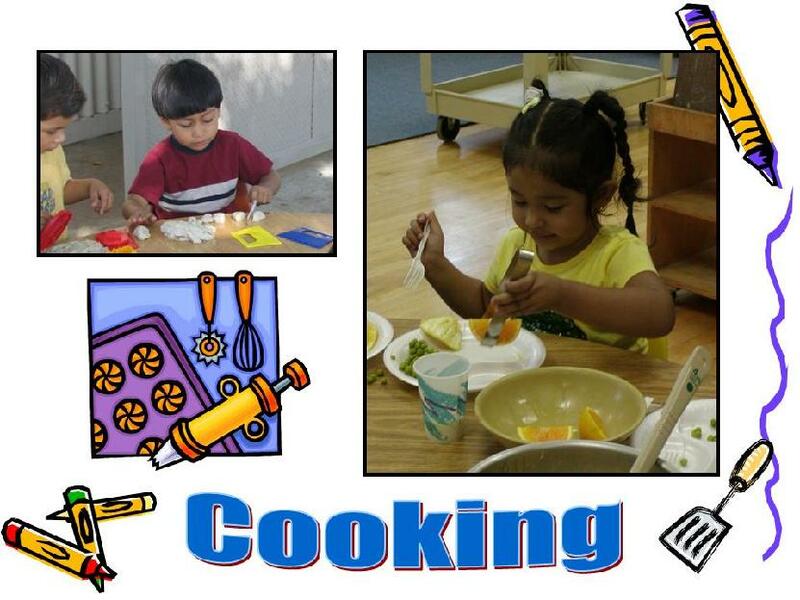 Cooking – Foundation for Early Childhood Education, Inc.
Watch bread dough rise or melt butter. Follow directions in a recipe that call for adding ingridients by teaspoons, cups, etc. Make a salad for the family dinner or bake muffins for breakfast. Understand that foods can change their physical state (Science). Take pride in their accomplishments (Self-Esteem).